If you can't find the suit style you're after listed on our site, don't worry! 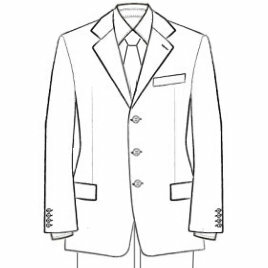 We can copy any existing suit style from a film, advertisement, your own sketch or even just based on your own description of what you're after. We have countless fabrics on hand, can source even more and, in some cases, can even custom make a special material just for you. E-mail us your ideas and we'll be happy to discuss your perfect suit.